Centrally located above a bustling produce market, this modern block offers cosy studios and spacious-looking apartments with smart furnishings, daily maid service and, for HK$250 extra, monthly unlimited broadband Internet access. The fittings are tired and the rooms small, but The Wesley offers very competitive long-stay packages in a central location. Deals include free local calls, maid service, kitchenette, and use of swimming pool and gym at the sister hotel in Quarry Bay. Offering smarter and only slightly pricier long-stay accommodation than next door’s Garden View. The location is excellent; the views to the harbour and city good. Maid service, free local calls, use of gym, satellite and cable TV, kitchenette and Central shuttle bus are all included in the price. Beautifully furnished, executive apartments with five-star hotel-style service including health club, outdoor heated pool, 24-hour room service. Well located above Pacific Place with amazing views over the city. For executives or small families, these upmarket two-bedroom duplex apartments are a 20-minute ride from Central in serene Repulse Bay. The hole in one of the tower blocks is said to promote good feng shui. Given the Tsuen Wan location, these studio and suite apartments are not for those who must be at the centre of things. The apartments are smart, with shower and kitchenette. Roll out of bed in these well decked out but small studio and one- or two-bed apartments and you’re beside the Escalator, bars and restaurants. Homely, with smart fittings and Chinese decorative touches. Very competitive long-stay deals start at two weeks’ duration. But décor is tired 80s, and the rooms smallish. Long stayers benefit from maid service, free local calls and Central shuttle bus. The Rosedale has small but well laid-out rooms, all with broadband connection and kitchenette. There’s also a small gym. The studio and one- and two-bedroom apartments are furnished with TV, fridge, cooker and oven. There’s no gym or pool. but the park nearby has a public pool. This ten acre resort offers sea views from its well-equipped rooms. The accommodation complex is unlovely from outside but recreation facilities include pool, pitch-and- putt golf course, tennis courts and running track. A cheap alternative to city living, magical Cheung Chau’s only major hotel offers fine sea views next to good beaches with windsurf and kayak hire. Great coastal walks are around the headland. Furnishings are nothing special, and the exterior is 60s municipal. Out in the New Territories, this extensive resort complex offers a vast array of sports and recreation facilities, including cinemas, shops, gyms, sports tracks and courts, Chinese and International restaurants, and nearby historical and beauty spots. All rooms include the basics with lounge and kitchenette. An excellent budget option for the adventurous, this lovely and friendly hostel sits atop Mount Butler at the western edge of Hong Kong Island. Take a taxi there. Hardly a resort hotel but worth a night’s escape to leafy, low-rise Lamma Island. Modest but neat air-conditioned rooms with TV and minibar. Lamma’s famous Han Lok Yuen pigeon restaurant is nearby . Overlooking the Pearl River on sleepy Shamian Island, this large but lovely hotel is the place to find peace in Guang-zhou. Converted from an old Portuguese fort hewn from the rock in the 17th century, this tiny hotel looking across the bay to mainland China is a picturesque delight. Rooms are heavily but beautifully decorated in Portuguese style. A lovely getaway. All rooms come with own terrace and sea views. 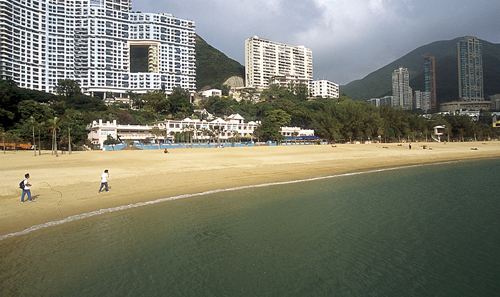 There’s a small sandy beach and an 18-hole golf course, which hosts the Macau Open. Or practise your swing on the ocean driving range with balls that float. A great, family-friendly resort-style hotel. Lovely Portuguese-style rooms, all with sea views and featuring minimalist décor with Oriental touches. Fantastic pastries and desserts are baked on the premises. Tiny, remote, hotel at the far end of Coloane over-looking a small, pretty beach. It boasts a nice deck area, swimming pool, and attractive Portuguese-style restaurant and bar. Room fittings show their age, but they are well equipped.